The failed Trans-Pacific Partnership (TPP) was a lesson in what happens when trade agreements are negotiated in secret. Powerful corporations can lobby for dangerous, restrictive measures, and the public can't effectively bring balance to the process. Now, some members of Congress are seeking to make sure that future trade agreements, such as the renegotiated version of NAFTA, are no longer written behind closed doors. We urge you to write your representative and ask them to demand transparency in trade. The Promoting Transparency in Trade Act would require the U.S. Trade Representative (USTR) to publicly release the proposed text of trade deals prior to each negotiating round and publish the considered text at the conclusion of each round. This will help bring clarity to a process that is currently off limits to the American people. Actively releasing the text of trade proposals will ensure that the American public will be able to see what is being negotiated and who is advocating on behalf of policies that impact their lives and economic well-being. We wholeheartedly agree. Indeed, these are among the recommendations that EFF has been pushing for for some time, most recently at a January 2017 roundtable on trade transparency that we held with stakeholders from industry, civil society, and government. That event resulted in a set of five recommendations on the reform of trade negotiation processes that were endorsed by the Sunlight Foundation the Association of Research Libraries, and OpenTheGovernment.org. A previous version of the Promoting Transparency in Trade Act was introduced into the previous session of Congress, but died in committee. Compared with that version, this latest bill is an improvement because it requires the publication of consolidated draft texts of trade agreements after each round of negotiations, which the previous bill did not. Another of our recommendations that is reflected in the bill is to require the appointment of an independent Transparency Officer to the USTR. Currently, the Transparency Officer is the USTR's own General Counsel, which creates an conflict of interest between the incumbent's duty to defend the office's current transparency practices, and his or her duties to the public to reform those practices. An independent officer would be far more effective at pushing necessary reforms at the office. 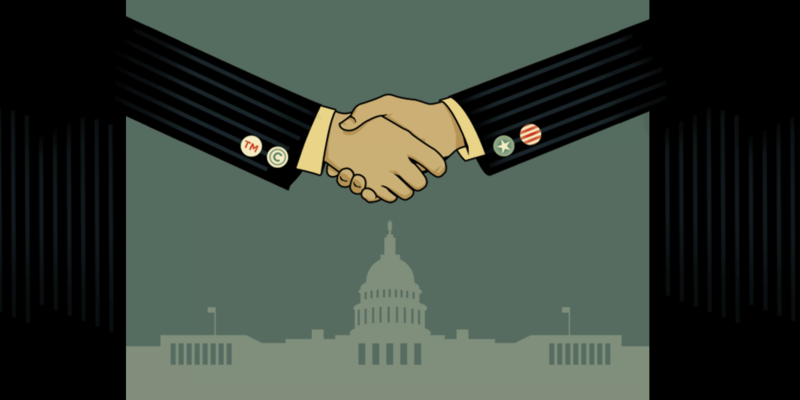 The Promoting Transparency in Trade Act faces challenging odds to make it through Congress. Its next step towards passage into law will be its referral to the House Committee on Ways and Means, and probably its Subcommittee on Trade, which will decide whether the bill will be sent to the House of Representatives for a vote. The Senate will also have to vote on the bill before it becomes law. The more support that we can build for the bill now, the better its chances for surviving this perilous process. Passage of this bill may be the best opportunity that we'll have to avoid a repetition of the closed, secretive process that led to the TPP. With the renegotiation of NAFTA commencing with the first official round of meetings in Washington, D.C. next month, it's urgent that these transparency reforms be adopted soon. You can help by writing to your representative in Congress and asking them to support the bill in committee.